Join CG enthusiasts from all over the globe in Vancouver this August. This Summer, CG enthusiasts from all over the globe will gather in Vancouver for the annual SIGGRAPH (Special Interest Group on Computer Graphics and Interactive Techniques) conference. And you could be there too! Organisers of the conference are offering two lucky Creative Bloq readers the chance to win a full-conference pass to SIGGRAPH 2018 (a value of up to $1,550 USD each) and join a community of curious, passionate artists and innovators. The five-day conference, held from 12-16 August in Vancouver, British Columbia, Canada, will see attendees immerse themselves in the latest innovations in digital art, CG, animation, VR, games, mixed reality and emerging technologies. So, are you ready to experience research, hands-on demos, and fearless acts of collaboration? Simply fill out the form below for your chance to be at SIGGRAPH 2018. For more than four decades, SIGGRAPH conferences have been at the centre of innovation in computer graphics and interactive techniques. 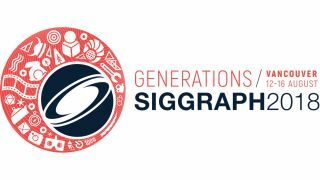 SIGGRAPH 2018 will immerse you in a broad array of educational and hands-on opportunities, and open the door to breakthrough technologies that will keep you at the top of your game. Programmes focus on five key areas: production and animation, research and education, arts and design, gaming and interactive, and new technologies. Other attractions include a job fair where employers meet with thousands of job seekers from around the globe; an exhibition featuring the companies that are changing the marketplace for computer graphics and interactive techniques; and plenty of networking opportunities with some of the brightest minds in the field. There is no limit to what you can gain from attending SIGGRAPH 2018. Learn from the best in the business and absorb a wealth of invaluable inspiration, skills and motivation that will help you on your path to digital art greatness.